HAVRE, Mont. 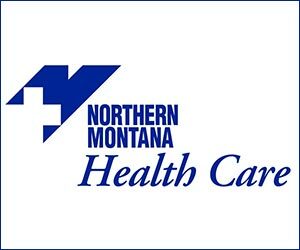 (NMB) – Representatives Jacob Bachmeier and Jonathan Windy Boy met with about eight locals for the weekly Legislative Call In Session at Northern Montana Hospital on Friday. Windy Boy talked about some bills he was concerned about, including his bill to allow teachers to collect unemployment insurance during the summer, a bill that would make dinosaur fossils the property of the landowners rather than mineral owners, and a bill that would allow tribal college credits transfer to other institutions. Bachmeier says that he has introduced eleven bills this session, including one that would require insurance companies to use original parts for vehicle repairs, a bill to reimburse colleges for tuition waivers, a statewide vacant property registration ordinance bill, a bill to allow passport drivers licenses in the state, a bill to grant Havre Beneath the Streets $100,000 for renovations, and others.